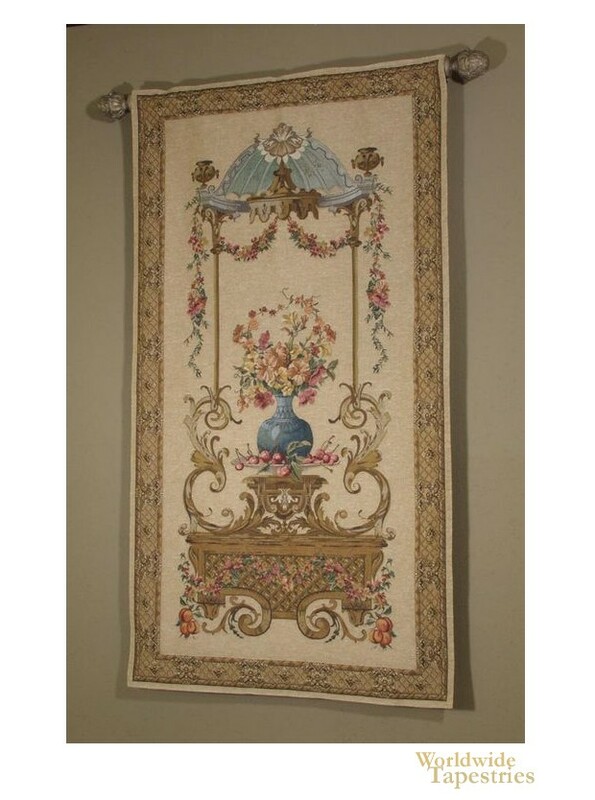 Arabesque tapestry shows a charming French portiere tapestry with flowers and urns. Portieres were used by the French to decorate castle walls in the 17th century, and here we see the French art tapestry showing the elegant motifs on a vase of flowers, on a pedestal with cherries, on a basket inspired motif decorated with small garlands of flowers. This art tapestry "Arabesque" is backed with a lining and has a rod pocket for easy hanging. Note: tapestry rod, where pictured, are not included in the price. Dimensions: W 35" x H 64"